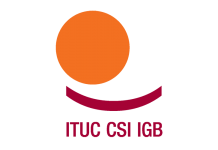 Confederation of Public Employees Trade Unions (KESK) is a confederation of 11 trade unions from all public sectors. 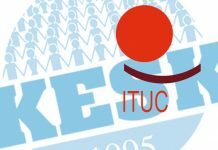 KESK struggles for labor and trade union rights not only for its members but all public officers as well as workers in Turkey. This letter is about the dismissed public officers whose problems amount to civil death. As known around 130.000 public officers were permanently dismissed by Emergency Decree Laws (KHK) under the State of Emergency. This letter calls on you to contribute the initiative and struggle to put an end to the civil death situation in this respect. 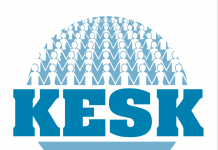 4237 KESK members, who were working in different public sectors, were dismissed by the emergency decree laws. KESK members were subjected to such an excessive administrative though none of them were involved in the coup attempt or had relations with Fettullah Gulen Organization, which is accused of the coup. The Government gave a generic reason for these dismissals from public service: Those who are considered to have connection with terrorist organizations or structure established by the National Security Council as engaging in activities against the national security of the State shall be dismissed from public service. As the following part of this letter will show, “having connection” is one of criteria that The Inquiry Commission on the State of Emergency Measures considers for its examination. A dismissed public officer, who was dismissed from the public service by the Emergency Decree Law No. 672, applied to the ECtHR on the ground that there was no available domestic remedy in Turkey. On 08 December 2016, the ECtHR, however, declared inadmissible the case of Zihni v. Turkey (application no. 59061/2016). It was an interesting decision because there was really no domestic remedy in Turkey and the Inquiry Commission on the State of Emergency Measures has yet to be established. Furthermore, on 17 November 2016 the ECtHR declared inadmissible the case of Mercan v. Turkey (application no. 56511/2016) for non-exhaustion of domestic remedies. The application was about complaint against unjust/unlawful detention. Given the fact that ECtHR repeated its decision in all similar applications and acted as if it had encouraged to the Government of Turkey in this respect. The European Commission for Democracy through Law or the Venice Commission issued an opinion (no. 865/2016) on Emergency Decree Laws on 12 December 2016. The opinion puts forth some recommendations, including setting up a commission, to Turkey. Turkey has set up the Inquiry Commission on the State of Emergency Measures that meets this recommendation on paper. This commission, however, never meets the recommendations by the Venice Commission. For further discussions on this issue, please refer to an article by Kerem Altiparmak, an academic specialized in human rights issues. (http://www.ihop.org.tr/wp-content/uploads/2017/03/IS-THE-STATE-OF-EMERGENCY-INQUIRY-COMMISSION.pdf.). Considering the ECtHR’s admissibility decisions and the Venice Commission’s recommendation, the Inquiry Commission the State of Emergency Measures has been set up by the Emergency Decree Law No. 685 on 23 January 2017. The Commission has begun accepting applications in July 2017. The Constitutional Court of the Republic of Turkey did reject individual applications to challenge these dismissals since these applications were declared inadmissible. The Court examined the application submitted by Ms Remziye Duman, a dismissed teacher, (application no 2016/25923) and stated that it would not examine any issue resulting from the Emergency Decree Laws under the State of Emergency. Dismissed KESK members submitted their applications to the Inquiry Commission in time. According to the Commission’s statements, 125.000 applications were submitted to the Commission until 9 November 2018. While only 3000 of these applicants were reinstated to the public servants and 39.000 them were rejected. Currently, 83.000 applications are still pending before the Commission (https://ohalkomisyonu.tccb.gov.tr/). 31 of the Emergency Decree Laws were approved by the Parliament and have officially become laws. According to the Constitution, such emergency decree laws shall be in force during state of emergency. 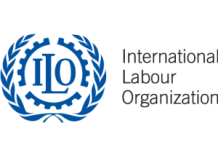 However, the content of these emergency decree laws have long term and permanent impact on the labour and professional issues. Therefore, the Republican’s People Party (CHP) applied to the Constitutional Court to abolish the Emergency Decree Law No. 670 while the country was under the State of Emergency administration. On 8 November 2016, the Official Gazette published the Constitutional Court’s decision dated 02 November 2016. The decision in question, of which Docket No. 2016/171 and Decision No. 2016/164, ruled that Emergency Decree Laws are free from constitutional examination. The Constitutional Court’s decision provided an extensive and arbitrary power to the Government. After these Emergency Decree Laws had been approved by the Parliament, CHP applied to the Constitutional Court once again. Yet, the Constitutional Court rejected this application once again. All of these decisions were published by the Official Gazettes on 29-30 June 2018. Thus, there is no decision, even by the Constitutional Court, that states the power of Emergency Decree Laws is limited to the State of Emergency period. In the light of the current circumstances, one can infer that emergency decree laws shall remain in force for a long period. In accordance with the legal regulation by the Government, if Inquiry Commission on the State of Emergency Measures rejects dismissed public officers’s applications, these officers may apply to the Administrative Court in Ankara in charge of the examination of these cases. The Administrative Court in Ankara has been specifically set up to examine such cases. In fact, it has been observed that the Administrative Court has not issued a decision in favor of individuals except for some procedural missing parts. In other words, there is no effective judicial investigation. The method that the Commission has been set up is contrary to the Venice Commission’s set up. The President’s mandate to dismiss any member of the Commission indicates that there is no possibility of working in an independent and impartial way. Given the fact the Commission considers the criterion of “having connection”, these decisions shall be subjective rather than objective. The Commission shall act according to information from the Intelligence Service. Applicants have no idea about the content of accusation, chance to see evidence against them, and are deprived of right to defense. That means the Commission examines these applications in a manner that is contrary to the equality of arms. There is no time limit to the Commission’s mandate. In other words, its period is uncertain to us. Considering the pace of the Commission and the period before the Special Administrative Court in Ankara and subsequent domestic remedies, one will need at least 6 years before s/he takes his/her case to the ECtHR. Such a long period underlines the issue of civil death and is contrary to human rights principles. 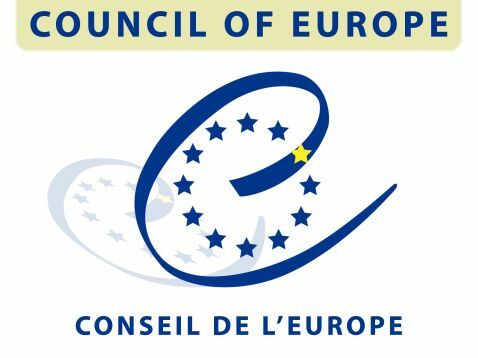 The Council of Europe should put an end to its silent position. 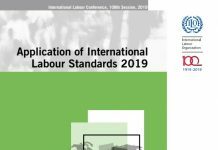 In accordance with the ECHR, the European Social Charter, ICCPR, ILO Conventions No. 111 and 158, the Council of Europe should recognize and declare that neither the Commission nor other domestic judicial organs are effective. Furthermore, KESK calls on the Council to check the Inquiry Commission on the State of Emergency Measures’ efficiency. KESK wishes that the Council shall raise the issue of dismissals in any type of dialogue and negotiations with the authorities in Turkey. As part of access to justice and redress principles, dismissed public officers should be immediately reinstated. Any accusations against dismissed public officers should be examined by independent and impartial judicial organs. Previous articleThe Arrested Executive Committee Members of KESK Affiliates Must be Immediately Released!